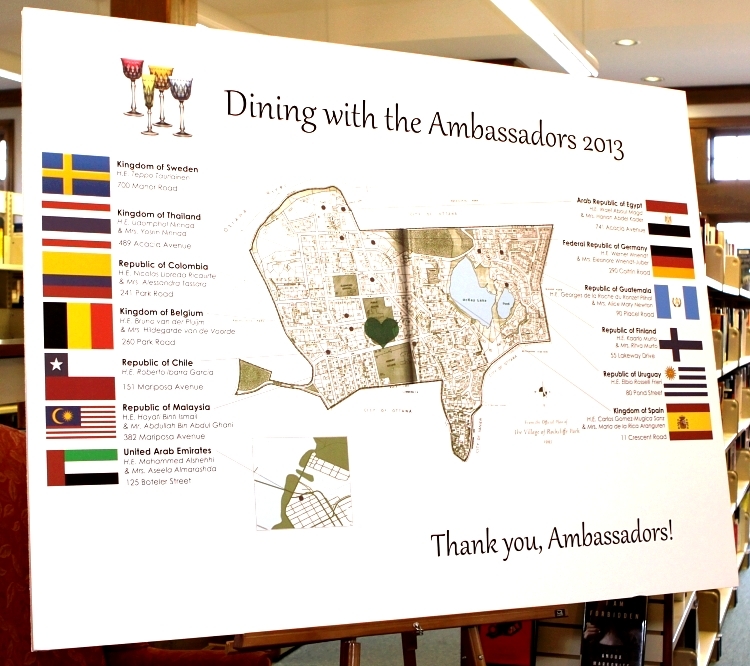 In 2019, the biennial Dining with the Ambassadors will be held on May 3. We extend heartfelt thanks to our extraordinary hosts, our neighbour Ambassadors and High Commissioners who make this unique event the memorable evening it is. Thank you also to our Cocktail Presenting Sponsor, Marilyn Wilson Dream Properties/Christies International Real Estate and to our Village Friends, The Minto Group and Foundation WCPD. Events like these are only made possible through the dedication of many Village volunteers. 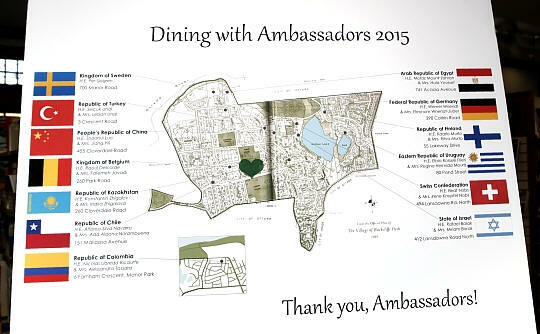 Members of the Dining with the Ambassadors Organizing Committee are: Sarah Baxter and Robert Collette (Co-Chairs), Leticia Herberg Carrera (Diplomatic Liaison), Alexandra Colt, Marianne Feaver, Andrea Laurin, Fiona Murray, Jane Newcombe, Jane Panet, and Marilyn Wilson.